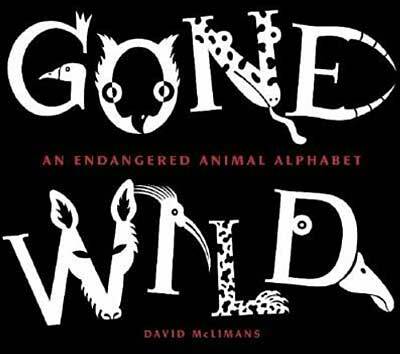 More than just another alphabet book, Gone Wild is an art book for all ages, especially older children. 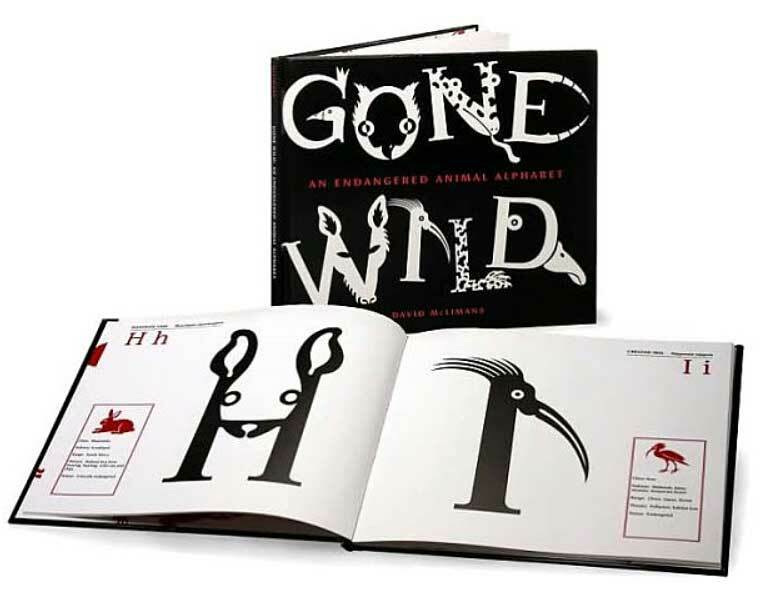 The book features clever black- and-while illustrations of 26 different endangered animals drawn in the shape of the letters that start their names. Each page also lists the animal's habitat, range/location, and reason it is threatened. McLiman's letters brim with inventiveness and creativity. Done in black and white on glossy paper, they'd actually make great classroom decorations (w/ 2 books). They're sure to spur creativity and thinking outside the box! Indeed, Gone Wild has something for everyone. Children who have just learned the alphabet will delight in applying their new found knowledge to 'decode' these creative animal-theme letters. And older children will appreciate the book's creativity and artistic value. Below are samples of how the letters get turned into an animal that starts with that letter. Each letter is accompanied by a small image of the animal being depicted as well as details about that animal.